The Quakers were the first group to champion the abolition of the British slave trade. They set up the Committee on the Slave Trade in 1783, which paved the way for the Society for the Abolition of the Slave Trade, founded by Granville Sharp and Thomas Clarkson in 1787. The society needed a sympathetic advocate to represent the cause. They found the ideal candidate in William Wilberforce, who became their spokesperson. Wilberforce had strong political backing from his friend the Prime Minister, William Pitt, who set up a Privy Council Committee to investigate the slave trade and asked Wilberforce to lead the Abolition campaign in parliament. The aim of the Abolition Society was to abolish British involvement in the slave trade, rather than attempt to end slavery altogether. They did this by raising awareness of the barbaric practices involved in the trade. 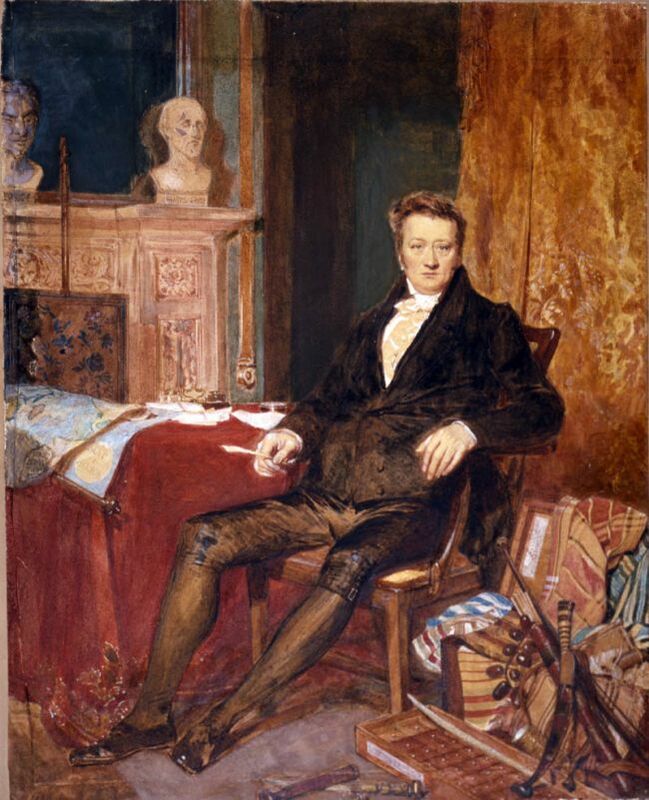 Thomas Clarkson, the founder of the Abolition Society, began the fight by collecting as much evidence against slavery as possible. He visited the Liverpool and Bristol docks and took statements from the crew members of slave ships. Clarkson also collected equipment used on board, including iron hand and leg shackles and branding irons. He also took measurements of the ship's holds where as many as 700 slaves were kept chained together, often so tightly that they were unable to turn around during the 6-8 week journey. Clarkson published his findings in a booklet entitled A Summary View of the Slave Trade and of the Probable Consequences of Its Abolition, in 1787. He travelled the country giving out anti-slavery leaflets describing the horrific conditions endured by slaves on board slave ships. He also took with him a box of African goods such as wood, spices and cloth. He argued that Britain could still make a profit by trading in goods rather than slaves with countries in the African continent. Largely down to the wealth of evidence and knowledge supplied by Clarkson, Wilberforce was so well informed on the subject of slavery that he was able to give his three-hour Abolition Bill speech to members of the House of Commons in 1789. Wilberforce used his speech to 'paint a word picture' of the horrors of the slave trade and in particular of the Middle Passage. He made sure not to directly attack his political opponents who were in favour of keeping the slave trade, but appealed to their consciences instead. 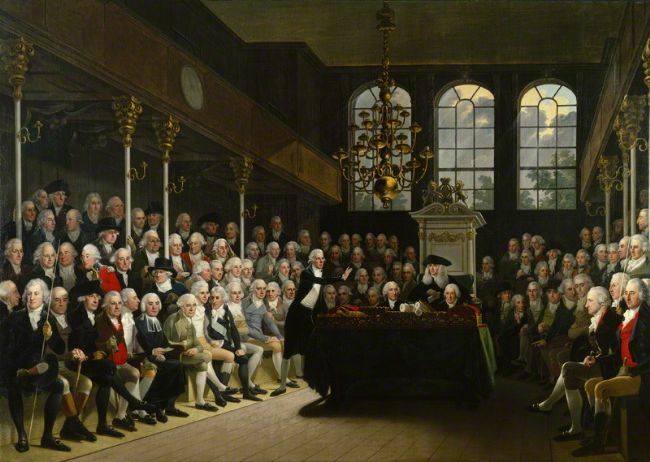 Following Wilberforce's speech, The House of Commons was undecided and adjourned the debate. During this time that war broke out with France and the French Revolution took place. Political attention was diverted away from the abolition of the slave trade, but Wilberforce and the abolitionists didn't give up their cause. They simply carried on gathering evidence and campaigning. One of the most successful campaigns carried out by the Abolition Movement was the Sugar Boycott. In 1791 the society distributed leaflets encouraging the public, and especially women, not to buy or use sugar produced in the West Indies by slaves. As a result about 300,000 people boycotted sugar and sales began to drop. In an effort to increase sales, some shops stocked only sugar imported from India, which had not been produced by slaves and labelled it to show this. Many British women supported the sugar boycott. At that time they did not have the vote, but by taking action against slavery, their voices could be heard. To promote the abolitionist cause, many household objects, such as sugar bowls and milk jugs, were produced carrying sympathetic slogans and images of slaves. The campaigners also persuaded thousands of people to sign petitions calling for the end to the slave trade. So many members of the public gave their support to the campaign that politicians and businesspeople could no longer ignore the will of the people. Producers and importers of goods grown in the West Indies started to see the economic benefits of slavery dwindle. Finally, in 1807, the Abolitionists achieved their first major political success following the passing of the Abolition of the Slave Trade Act. The Anti-Slavery Society came to an end after the Abolition of Slavery Act was successfully passed in 1833.